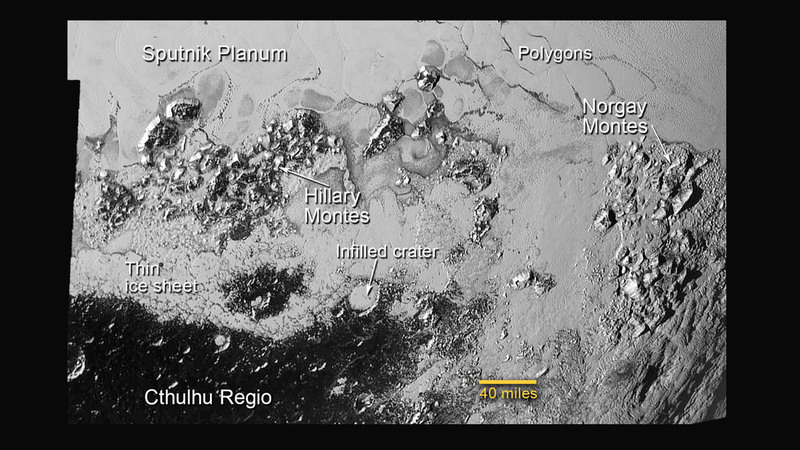 Pluto may no longer be considered a planet, but all will agree that it sure is an interesting world! Imagine landing on that surface. With a temperature from -387 to -369 Fahrenheit, anything that touches it would have to be at a similar temperature? Or perfectly insulated? What type of rockets or jets could be used to soften the landing? Most rocket fuels burn at thousands of degrees, so it would have to be near cryogenic compressed gases instead? Or… what kind of chemical reactions occur at those temperatures? I’m just now completely name-controvesied out, it’s nice to see non-annotated pics, thanks for that. 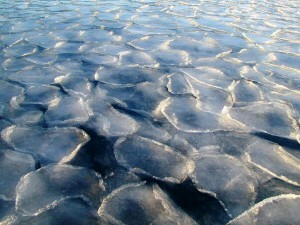 Those polygonal shapes look like pancake ice that has been frozen together. I’ve seen very similar shapes, albeit on a smaller scale, on various lakes in the winter. Next PostNext What About a Mission to Europa?